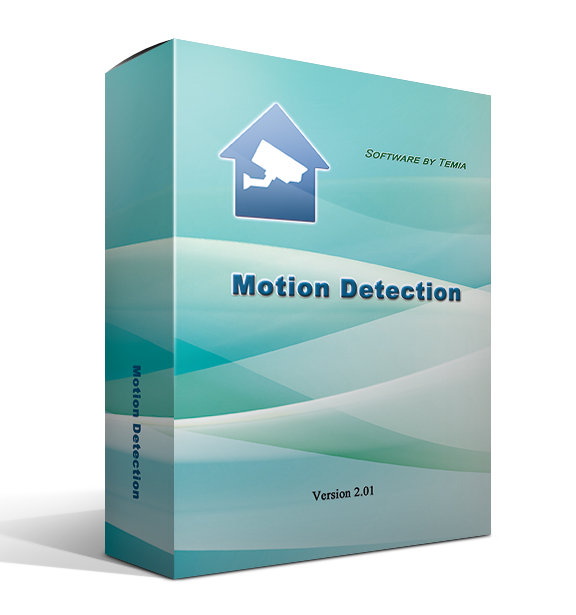 The main functions of the software "Motion Detection" are detection and fixation of the objects motion on camera. 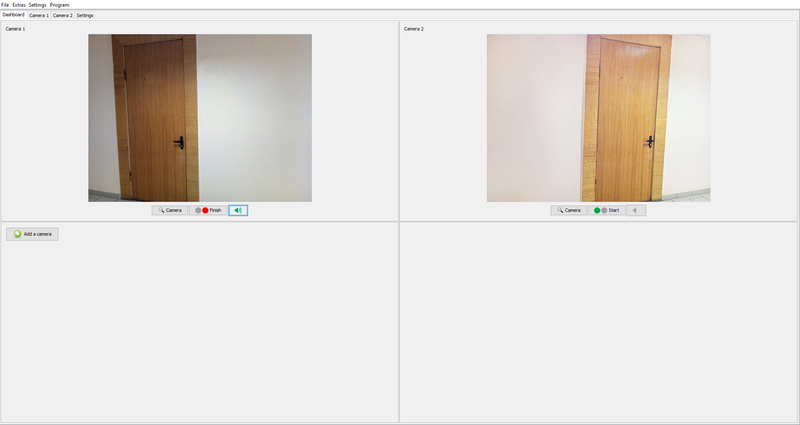 To start working with the program "Motion Detection", it is necessary to connect your USB-cameras to computer and add them to the program with one mouse click. 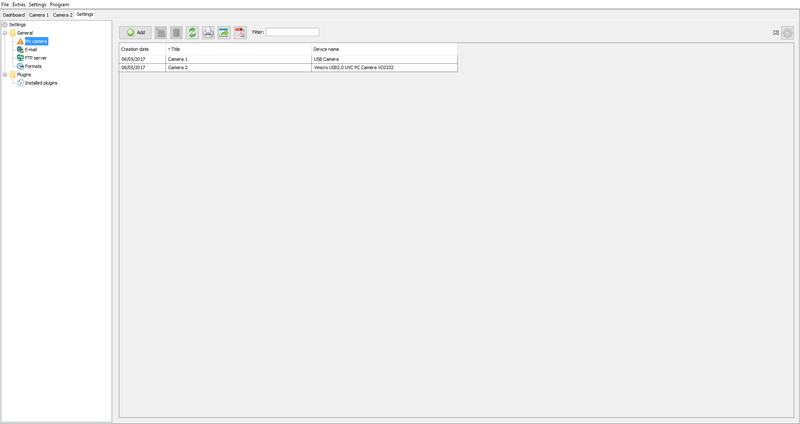 When starting the program all added and connected cameras will be switched automatically. After that it is necessary to select a camera and activate a motion detection mode. In this mode the program will detect the object motion. The photos will be taken automatically. Algorithm for a program is optimized in such a way that insignificant changes in the camera image, for example, the changes caused by rocking, sundown or insect on camera, are not deemed as changes and are ignored. In this case no images are taken. In the motion detection mode the mailing option is available. In this mode the program will send the taken photos are sent to the indicated email. So it is necessary to indicate the email account address to send the taken photos. The emails are sent if only the changes were detected by the cameras. The minimum time interval between email sending out can be indicated. The amount of sending emails can be limited. If the motion is detected, the program saves the taken photos automatically. These photos can be copied to the clipboard or ported to another program. In Windows operating system it is possible to copy the pictures to the folder indicated by the user. 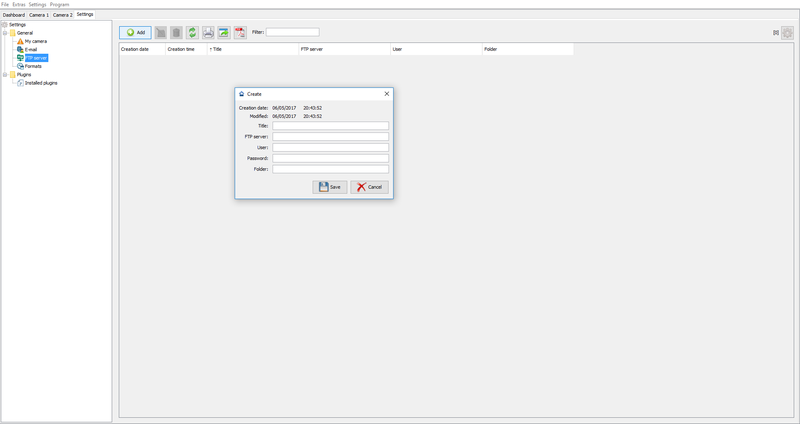 You can upload the photos to a server automatically, with the indication of the FTP server data. This option can be interesting for those users, who want to review the photos on the home page on the Internet. 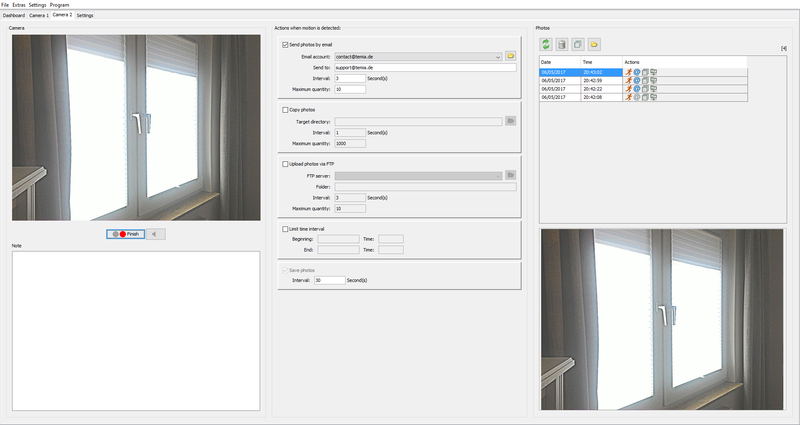 In the motion detection mode the sound notification is available, it is also possible to assign time interval, when the motion detection mode is active. This program is a great solution, if you want to keep watch over your apartment, house or office without the use of the expensive equipment. You need only a simple USB-camera and computer. 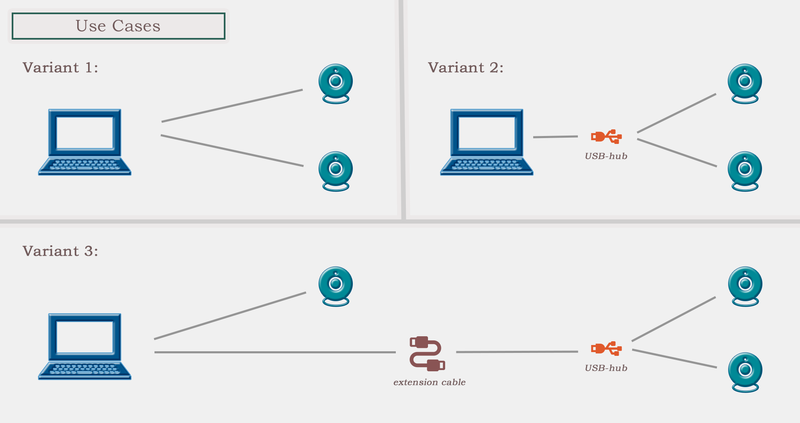 The program supports simultaneous operation of several cameras, which can be connected to the computer directly. You can use USB-lengtheners to optimize observation system (the cables up to 25m with power assists are available). Application of the USB-splitters can increase the number of USB-ports available for your cameras.